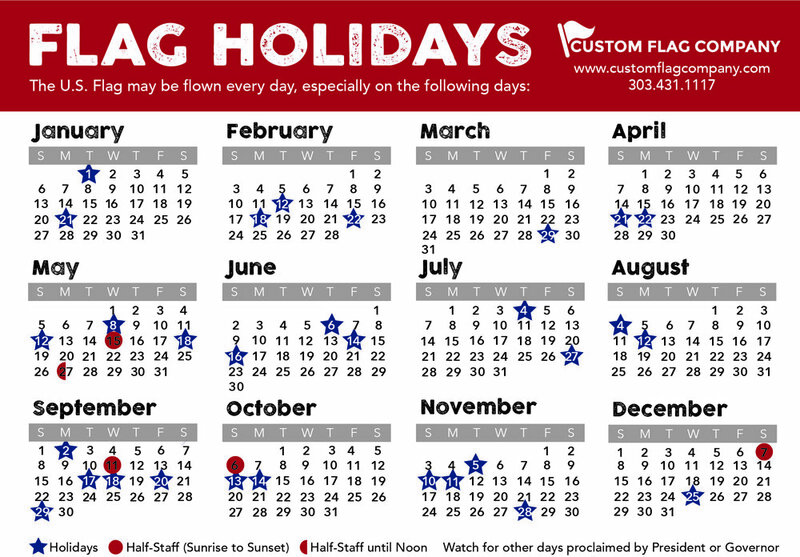 If you are thinking or have been wanting to have a flag made as a Christmas present please remember that today is the last day to submit your purchase in order to receive the flag in time for holidays without having to pay a rush fee or expedited shipping. Please ensure your order is finalized by today at 4:30 PM Mountain Standard Time. If you have any questions please contact our office. Posted on December 7, 2017 by Andrea Griebling.